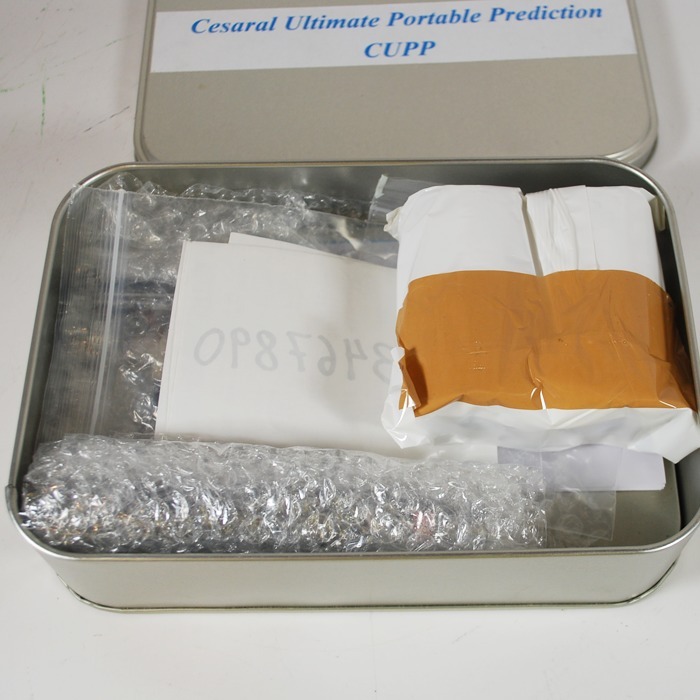 Home / Apparatus / Stage / Ceseral Ultimate Portable Prediction (CUPP): a miracle! 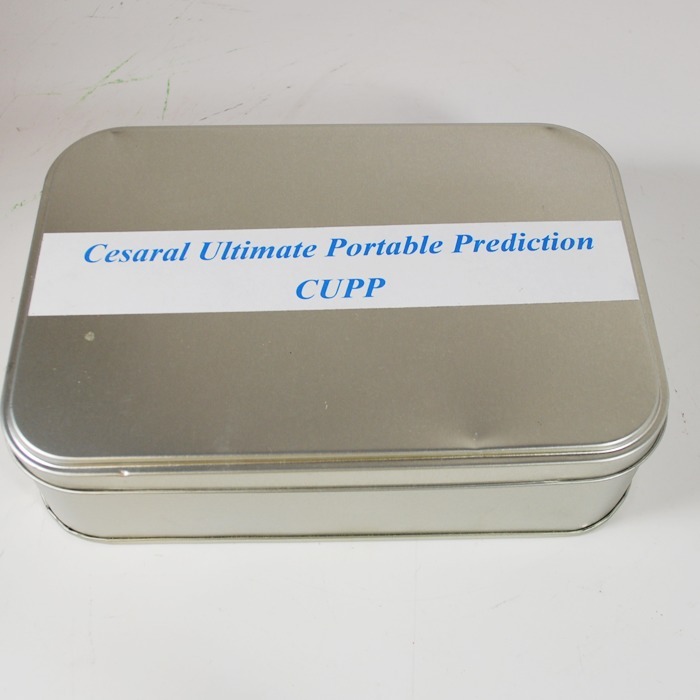 Ceseral Ultimate Portable Prediction (CUPP): a miracle! No doubt you have red about this. At its basic premise, it is a impossible prediction of a lottery ticket with numbers chosen totally at random by your spectators. The possibles are endless however. We have made a decision not to show the equipment in detail as this is so exclusive it would not be fair to the manufacturer. 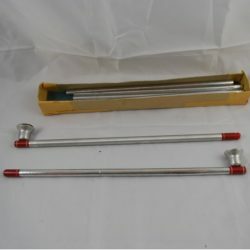 Just know it is complete and has never been used by the original purchaser. You have links to manuscripts in the box but we have printed the two manuscripts and will include them for you. Retails for $1900. Bluetooth technology. The Cesaral Ultimate Portable Prediction (from now on the CUPP) will allow you real time prediction miracles. One advantage over other systems in this category is that the unit can be controlled by the magician/mentalist by himself; without the aid of secret assistants. This is possible thanks to the special Cesaral Invisible Key included in the CUPP. 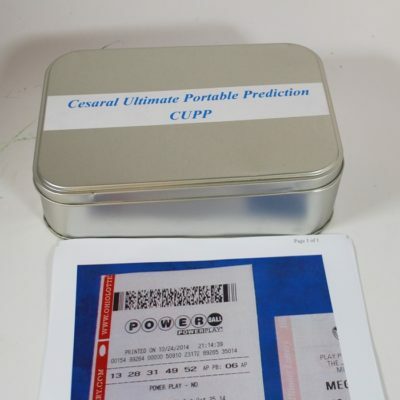 You can use the CUPP for many types of prediction effects, such as: Lottery tickets of any country in the world, all sort of numeric and text predictions, book tests, Confabulation effects, etc. 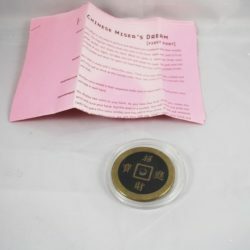 Other systems in the market are really complex or just don´t have the Lotto ticket that you would like to have; if you buy them you will get lost. 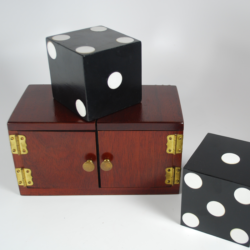 The CUPP is really simple…and powerful at the same time. There is an App at the Apple Store that allows to fully control the CUPP. Just search for “cesaral” at the Apple store.